This awesome event is worth attending. Please pass the word. In recognition of Women’s History Month, Columbia University’s Institute for Research in African-American Studies (IRAAS) will host Women Picturing Revolution: Focus on Africa and the African Diaspora, a one day seminar that reclaims and retells history in a manner that is both radical and necessary. From fine art photography made as a personal response to the legacy and locales of slavery, political oppression, and the inability to act, to well-known photojournalists documenting political and social upheavals, this seminar will examine not only the photographs, but also the conditions under which women in and/or from Africa or the African Diaspora make images. In-class content will include analysis of photographic work and projects, partial film screenings, review of related literature, conversations with guest artists, and a look at how contemporary image-makers are using social media. Participants will leave Women Picturing Revolution: Focus on Africa and the African Diaspora with a certificate showing their achievement upon completing the seminar. Participants will also leave with a reference guide equipping them with tools to better understand how women in and/or from Africa or the African Diaspora document resilience, resistance, and creative survival. This seminar was co-created and will be taught by Lesly Deschler-Canossi and Zoraida Lopez-Diago. The fee for this one-day seminar is $150.00. Lesly is a photographer, photo educator, and owner of Fiber Ink Studio, a pigment print and scanning studio in Beacon, New York. 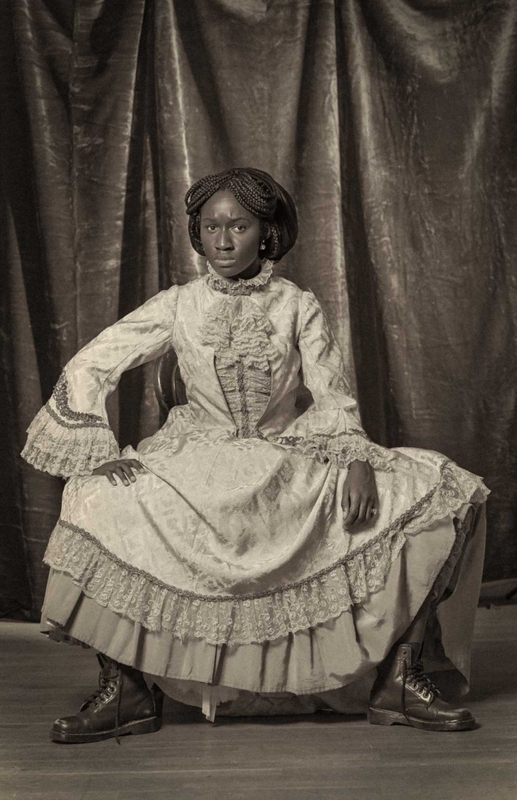 She is faculty at the International Center of Photography and has taught at the Lamar Dodd School of Art in Cortona, Italy, the Maryland Institute College of Art and the Harlem School of the Arts. Most recently her work has been published in Landscape Stories and Secret Behavior Magazine and In 2014 her book Domestic Negotiations was published by ICP edu. Lesly holds an MFA in Photography from Maryland Institute College of Art / MICA. Zoraida is a photographer, curator, wife and mother. In 2011, Zoraida lived in and documented women serving sentences at Pedregal, a maximum security prison in Medellin, Colombia; she returned in 2013 to continue her work and focused on demonstrating the ways photography can be used to help improve community opinion of the incarcerated. In 2014, she co-curated Women as Witness, an exhibition revealing how women across the globe document survival and in 2015, Zoraida was the assistant curator of Picturing Black Girlhood, a photography exhibition highlighting important contributions of Black girls in the US. With the support of a grant from Arts Mid-Hudson, Zoraida is currently documenting where children of undocumented farmers in upstate New York sleep, with a particular emphasis on documenting how they continue to hope and dream while navigating our current political and social climate.